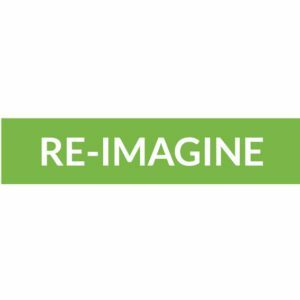 We are excited to announce the start of the Re-imagining anticipatory climate governance in the world’s vulnerable regions (RE-IMAGINE) project, led by Earth System Governance Research Fellow Joost Vervoort (Utrecht University) and Lead Faculty member Aarti Gupta (Wageningen University & Research). The project is a joint effort between Utrecht University, Wageningen University & Research, the University of Oxford and the CGIAR Programme on Climate Change, Agriculture and Food Security (CCAFS) Future Scenarios Project, and has been made possible by the BNP Paribas Foundation’s ‘Climate Action Call’. The project will launch on Tuesday 23 January 2018 from 14.30 to 18.00 at the Utrecht University Museum. Please block this date in your agenda! This interactive day will revolve around urgent and timely questions surrounding the investigation of climate foresight as a governance intervention. How can the potential of foresight be better understood as an intervention for improved climate adaptation, particularly in the countries most vulnerable to climate change? We would like to use this opportunity to kickstart an interdisciplinary and intersectoral network and to collaboratively work on a research agenda, (special issue) publications and funding opportunities. The afternoon will start with project leaders Joost Vervoort (UU) and Aarti Gupta (WUR) presenting the project and team. This will be followed by reflections on the global context of the project by Professor Frank Biermann (UU), and Professor Garry Peterson (Stockholm Resilience Centre). The second part of the afternoon will be an interactive session to harvest your research and policy interests and then connect you to the different communities working on climate adaptation: governance and foresight researchers, policymakers, civil society and the private sector. In order to foster collaborative action we will report back to you in the following months, giving all participants access to an overview of communities, interests and shared opportunities. Prof. Garry Peterson will offer his perspective how this project tackles existing gaps in research as a foresight expert. Garry is a professor, head of subject in sustainability science, and co-leader of the research stream Resilience for Transformation at the Stockholm Resilience Centre. Garry has been at the forefront of research on environmental scenarios and future pathways for many years, including leading roles in the scenarios research of the Millennium Ecosystems Assessment and the Intergovernmental Science-Policy Platform on Biodiversity and Ecosystem Services. Prof. Frank Biermann will offer his perspective as a leading global environmental governance researcher. Frank is a research professor of Global Sustainability Governance with the Copernicus Institute of Sustainable Development, and the leader of the Earth System Governance network – the largest global network of environmental governance scientists. His work has focused on many global environmental governance themes including the Sustainable Development Goals, the concept of the Anthropocene, United Nations reform and other areas. If you would like to attend, please fill out our registration form here. Once registered, more information about the programme will follow.